If you've been with me for a while, you would probably read a lot about how much I love chemical exfoliation and my efforts to cover up my dark undereye circles with various makeup items. 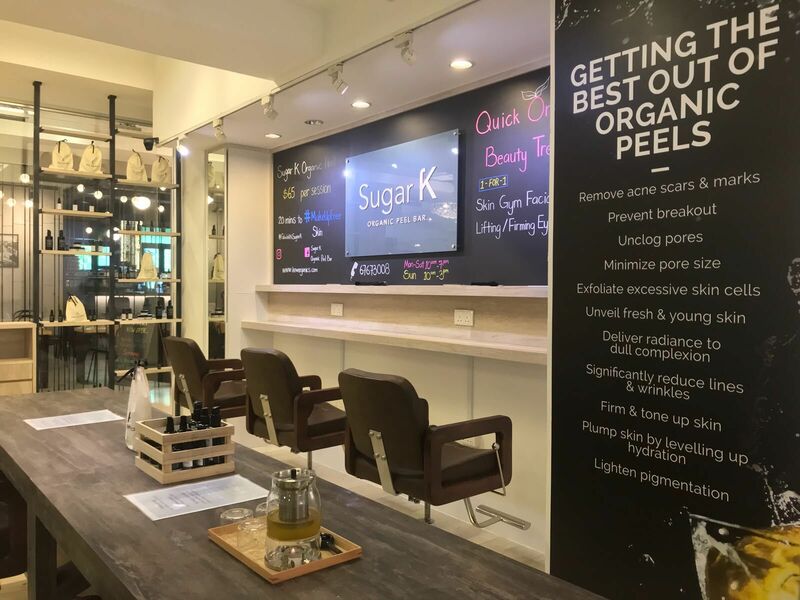 Thus, when Sugar K Organic Peel Bar opened their second outlet at Cluny Court and reached out to me to try their signature Organic Express Peel and Red Carpet Eye Treatment, I readily agreed to do so. Side note, the selfie above was taken two days after my visit (no foundation, just powder before blush). Sugar K Organic Peel Bar is the world’s first all-natural skin peel service, featuring an all-natural glycolic peel formula that is as gentle as it is effective. The concept of the peel bar is extremely simple, providing a quick and fuss-free session to tackle various skin issues. There was no need to change any clothing or lie on any beds, making it a good option for those with tight and packed schedules but still wanting to squeeze in some time for a break and for self care. My session with the organic express peel and red carpet eye treatment took only about 30 minutes. Chemical peels may sound intimidating to some, but they aren't something to avoid as they do wonders for the skin. Physical exfoliation, think scrubs and facial brushes, may work in removing the top dead skin layer but it has been proven ineffective in the deeper layers which is also where pigmentation lies. Sugar K Organic Express Peel which utilises glycolic acid derived from organic sugar cane and organic citrus fruit acids to gently slough off the topmost layer of the epidermis with minimal risk of irritation. 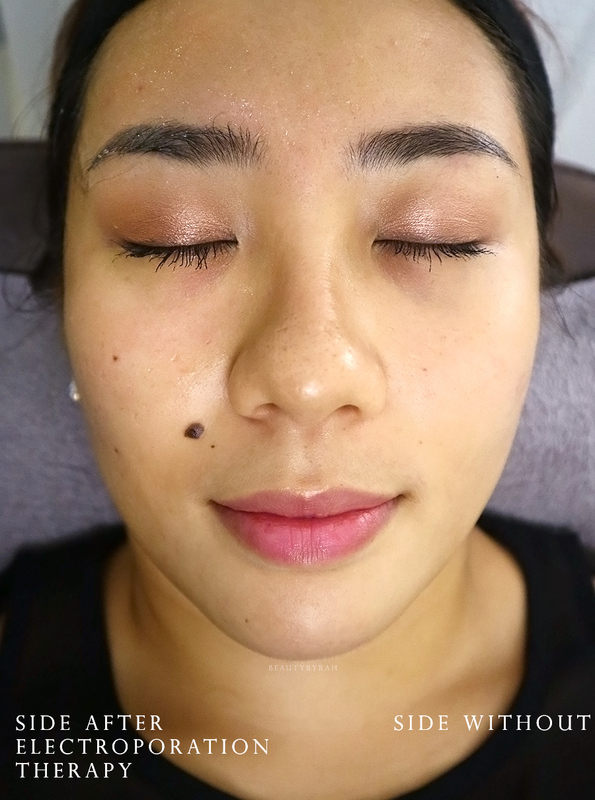 This treatment is said to help plump the skin cells to reduce the appearance of lines and wrinkles, remove dead skin and reduce hyperpigmentation while minimising the appearance of pores. I am no stranger to chemical peels and I do think that a good one really does aid in skin radiance and texture. This peel was extremely gentle and my skin showed no signs of irritation. Usually I would feel slightly tingling, but this peel felt extremely comfortable on the skin and I do think it would be a great stepping stone if you're new to the world of chemical peels. After 2 minutes, it was rinsed off and part of me was honestly skeptical as to what the peel would be able to achieve in such a short time. However, I have to say, don't let the lack of tingling and short application time fool you, this peel is indeed potent and effective. 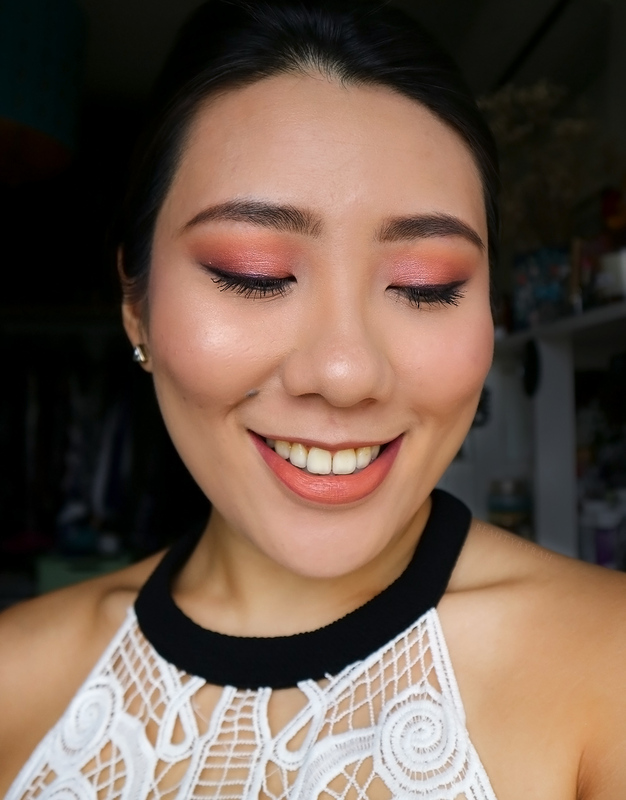 While I did not really see much different in the bar itself due to the lighting, I realised that as I went on with the day, my skin looked a lot more radiant and emitted a subtle natural glow. The day after the treatment, I also noticed that the small bumps on my cheeks were significantly reduced as well. I am extremely pleased with the result considering that I only had one session! I was particularly interested in their newly introduced Sugar K Red Carpet Eye Treatment which claims to brighten and hydrate the fragile skin around the eye, increase blood circulation, and thus aiding in reducing the appearance of dark under eye circles. This treatment utilises electroporation therapy to allow for optimal absorption of their Kew Organics Cacao Hibiscus Age- Defying Eye Serum that is applied under the eyes. The electric pulses also penetrate further into the skin, smoothening out wrinkles, increasing blood circulation and hydrating the skin. I did feel some tingly sensation (especially near the cheekbones) during but it was nothing uncomfortable. There are different levels so just let the therapist know which level you are comfortable with. After the treatment, I would not say that the darkness under the eyes were greatly reduced as after all, these pesky circles have been with me my entire life so a single session isn't going to completely eradicate it. I did notice that the skin under the eye looked quite a bit smoother. More sessions would probably be needed to see a significant difference when it comes to the dark undereye circles. 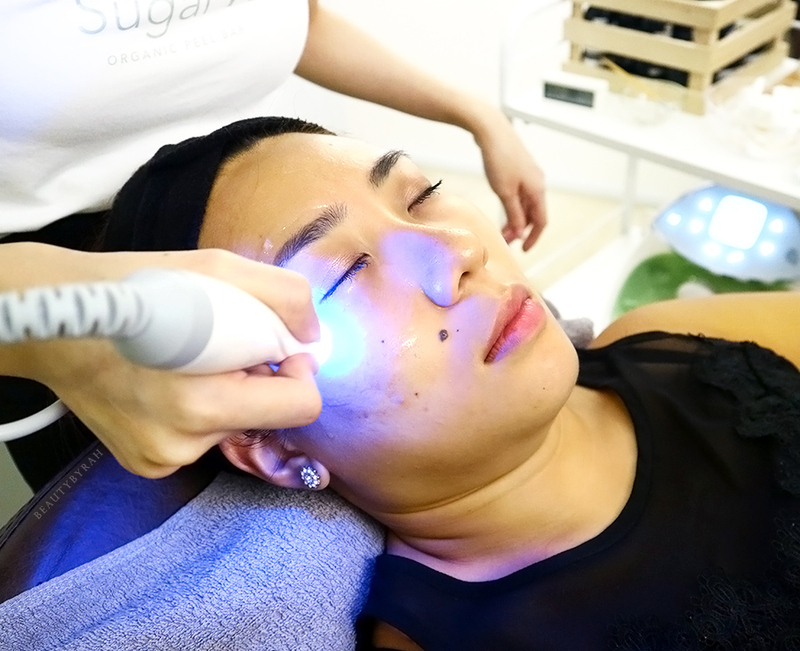 The Sugar K Organic Express Peel costs SGD 65 and Sugar K Red Carpet Eye Treatment costs SGD 68 per session. It's definitely decently priced and I really do like the concept of it being a bar that caters to time-strapped urbanites, which is almost basically everyone now ain't it? Personally, I am really impressed by the express peel and am considering heading back for it from time to time. Sugar K is located at Cluny Court and you can check out their website for more details. **Disclaimer: These treatments were provided by Sugar K for review consideration. I am not compensated or affiliated to the brand. The above review is based on my true and honest opinion and it also contains information from the brand itself.